Whether you need a new roof or some minor leaks repaired, D & M Plumbing can supply you with a solution to your problem. We are experienced at fitting and repairing all types of roof and wall sheeting, guttering and downpipes, vents, cappings, flashings and roof drainage solutions. 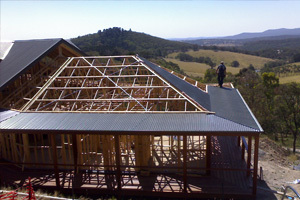 A lot of pride is taken in the installation of our roofs. 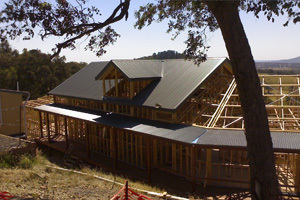 Not only do we make sure that your home is 100% weather proof, we will finish your job off to the highest standards to give your building projects style and long-lasting durability. Our team at D & M Plumbing have completed jobs to the complete satisfaction of countless builders, architects, property managers and home owners. For all your roofing plumbing needs, call 13 PLUMBER today.